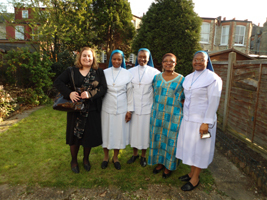 The Association of the friends of the Daughters of Divine Love was founded in 1977 after the death of our father founder. 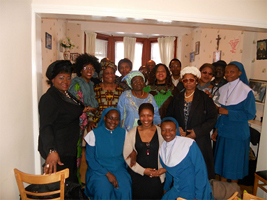 The members are committed Catholics, with the intention of promoting the objectives and principles on which the Congregation of the Daughters of Divine Love is founded. To promote for sharing in the spiritual life, apostolate and well being of the Congregation of the Daughters of Divine Love. To promote the progress and well being of the Daughters of Divine Love Congregation. To promote Friendship and encourage the spiritual growth of the members, through mutual understanding, daily work, prayer and sacrifices.